The Detox Doc | A Blog Devoted to All Things Detox! A Blog Devoted to All Things Detox! Read moreWhat’s So Bad About Sugar? Hi, I'm Leslie and welcome to my detox blog! I'm a seasoned nutritionist, health blogger, detox aficionado and loving mom. I've tried every detox and natural weight loss product imaginable. Lucky for you, I've decided to share all my experiences and expertise right here! 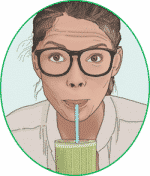 You'll find detox plans, recipes, product reviews and much more. Enjoy! Looking for the Best Weight Loss Detox Teas of 2019? Click Here for our Top Picks!